Coral/Taupe 11g. 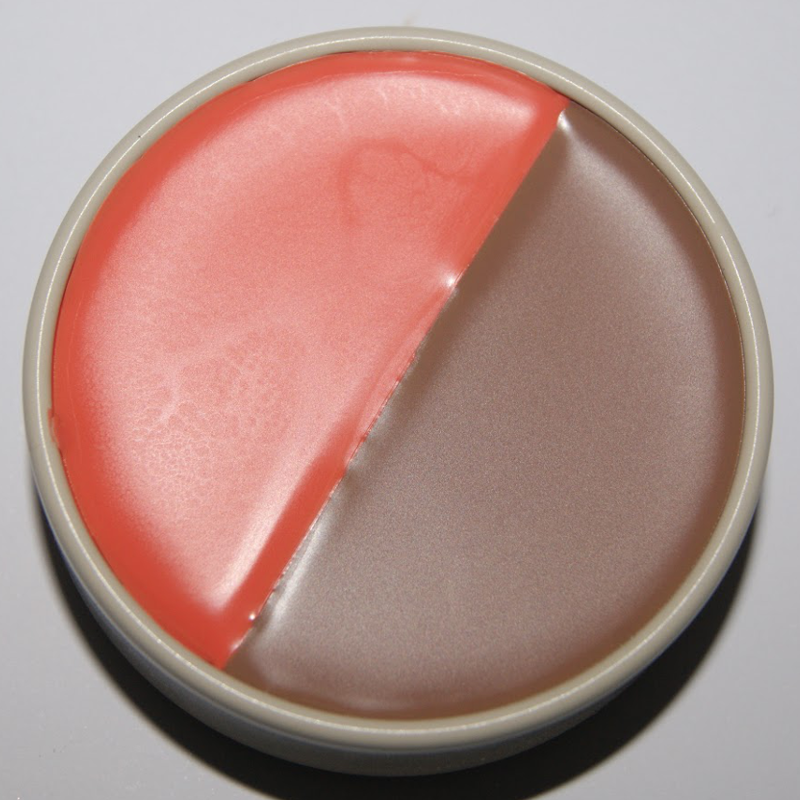 Dual colour blendable lip & cheek balm - A handbag must have! 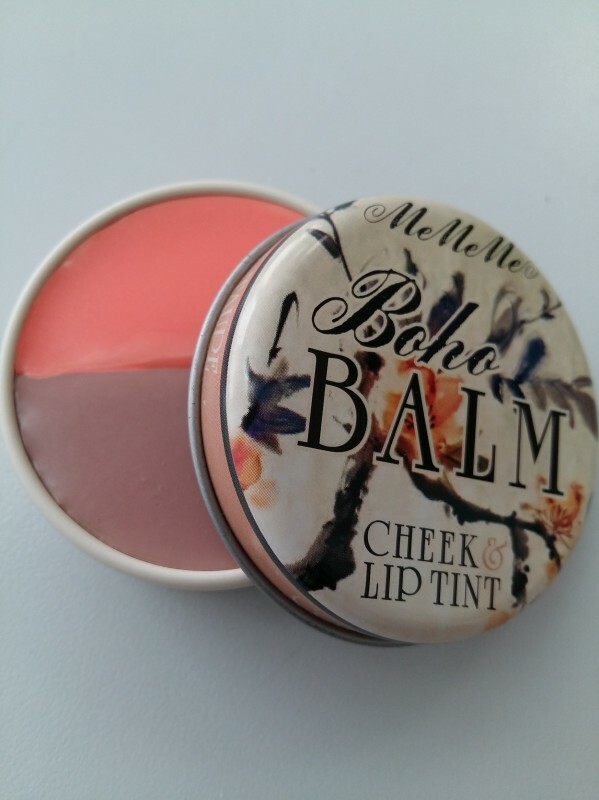 Multipurpose lip & cheek balm - each tin features two beautiful shades which can be used on both lips & cheeks. The perfect festival accompaniment! I was sent this for consideration. The tin looks dated and not in a retro way. I dislike products where you dip your fingers in to apply to the lips, so this was never going to be a big hit for me. First impression is that the coral shade is pretty and the taupe is crazy. I don't want to wear dirty brown on my lips or cheeks. The texture is very tacky. I guess it would look dewy on the cheeks and the pigment is just about right for cheeks but doesn't show up on the lips. It isn't moisturising either so no real point to putting it on your lips. What I like the most is the texture: incredibly soft and smooth. And of course that yummy scent!! 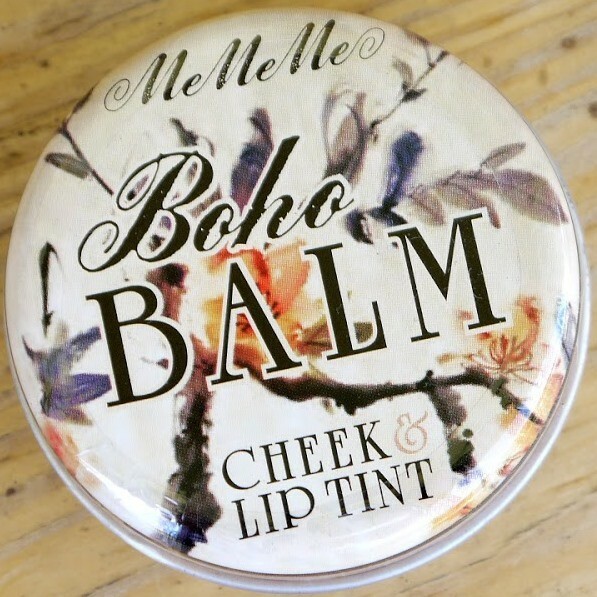 MeMeMe Boho Balm is very moisturizing,great shades that perfect match for Ombre lips,the balm spreads evenly on the lips and never gets patchy. Immediately after applying it, becomes creamy, smooth and velvety. It lasts for approximately 3-4 hours on my lips with slight fading. I will definitely keep this lip balm on hand at all times. Beautiful and compact. I love the two in one product idea. It smells so good that I want to eat it, obviously I'm not going to, but the smell just transports you to another place, like you are actually on the beach, on a beautiful country. I absolutely love Taupe, it's one of my favourite colours for certain makeup products, the colours look amazing, but the product is more a balm than a tint. It does make your lips feel fuller and hydrated. I think this particular shade would be more suitable for a fair skin tone. Looking at it I would think it's suitable for medium skin tone, but I can barely see the benefit from the colours, that I was expecting for a tint. I would like to try a darker, shade with higher pigmentation for the colour to show up as you expect it to on a lip and cheek tiny. I would highly recommend this product, in this particular shade, for people who have light and fair skin tones, I wouldn't recommend it for Asian skin tones like medium or golden tan, unless your just looking for a very subtle lip balm, I would not treat it as a balm. It's so easy and perfect to carry around with you, when your on the go. I do like that it's a two in one product, in one gorgeous little tin. 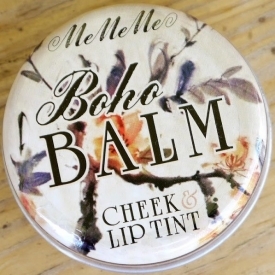 It discreetly fits in most pockets, and I would definitely like to try other shades of this balm. I think it would be more suitable for someone with a lighter, fair skin tone. I would definitely not put this product in the tint category as it doesn't deliver the expectation of a tint. Overall I do like it, but only as a balm and not a tint. I would prefer a little mirror and a compact style of packaging instead of the tin. 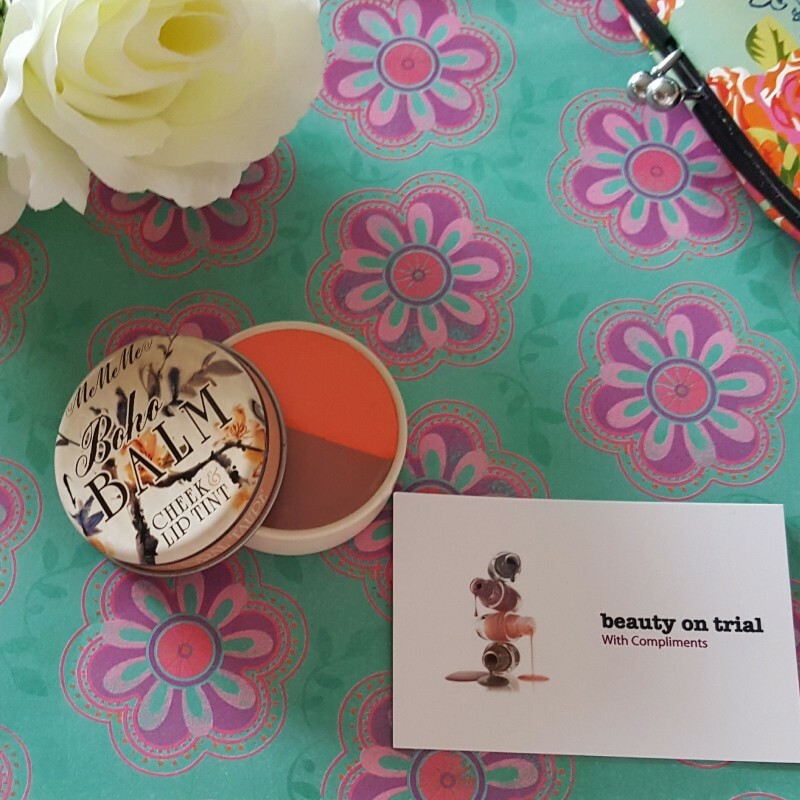 I was pleased to trial the Boho Balm cheek&lip tint thanks to the beautyontrial team. It comes in an unusual retro-style metal packaging, which reminds me of the good old days. I can't say I have done a great job trying to open the tin, just turning the lid anticlockwise and slightly upwards, yet I had to not fully close it to make it easier next time. The coral shade of the bal appeals to me very much as a fan of coral shades. 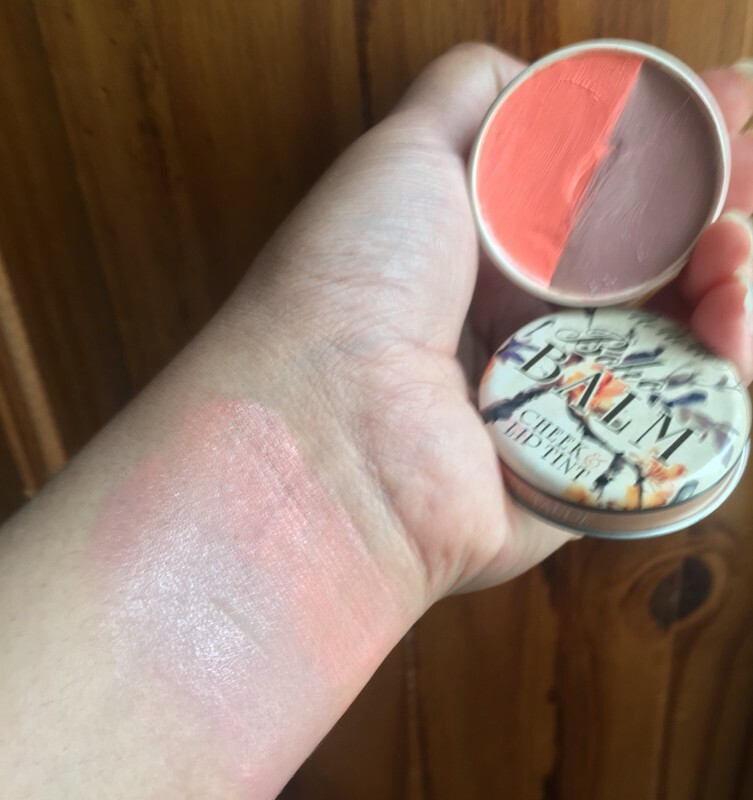 This one leans more onto the orange type of the coral shade, when on lips, it's not so bright coral one, and very good for creating a natural make-up. The taupe shade contrary to expectations looks very nice too. 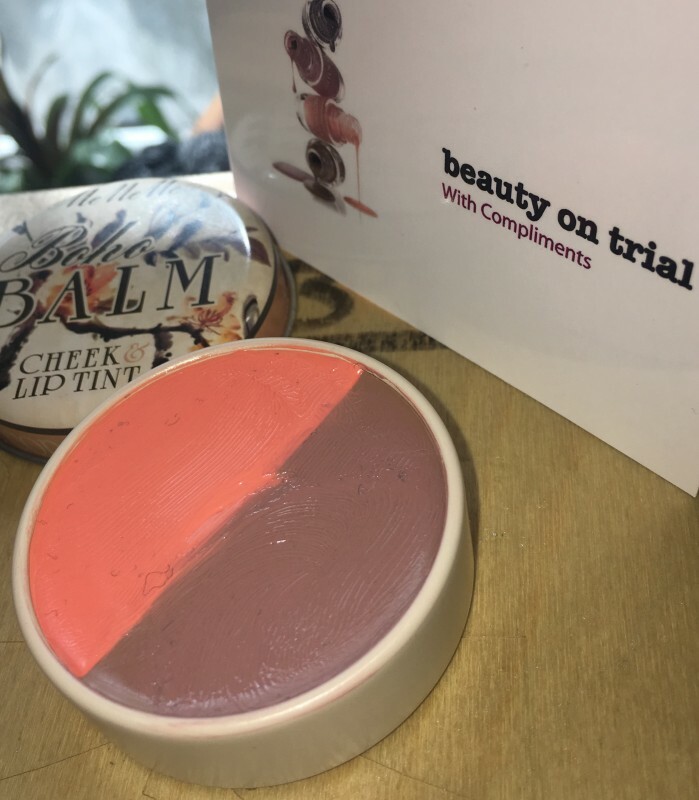 It's easy to apply the tint with a brush, the texture is creamy and smooths over lips easily, delivering natural uniform colour. 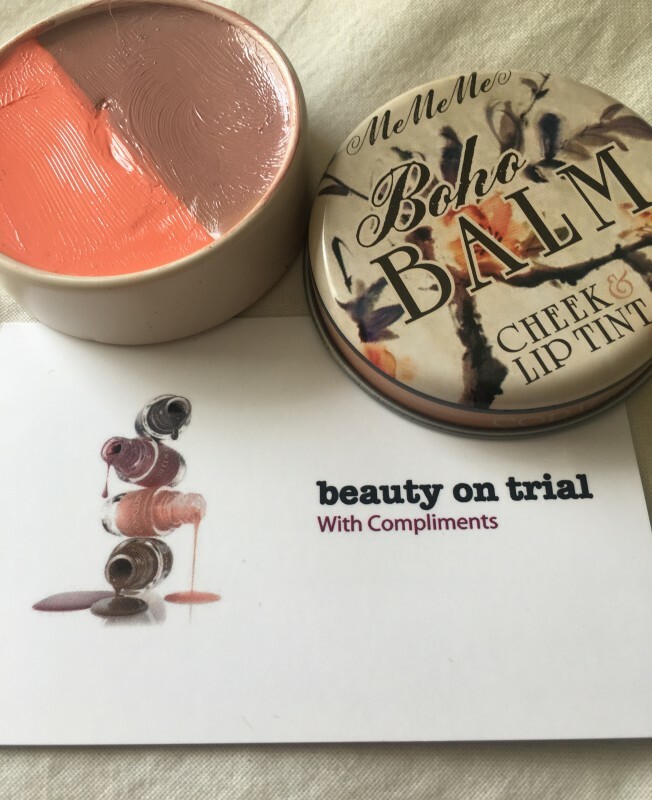 The balm feels pretty good on lips, doesn't dry them out, leaves the lips smooth and soft. Besides, the amazing confectionary or vanilla scent of the product makes it very plaesant to use. 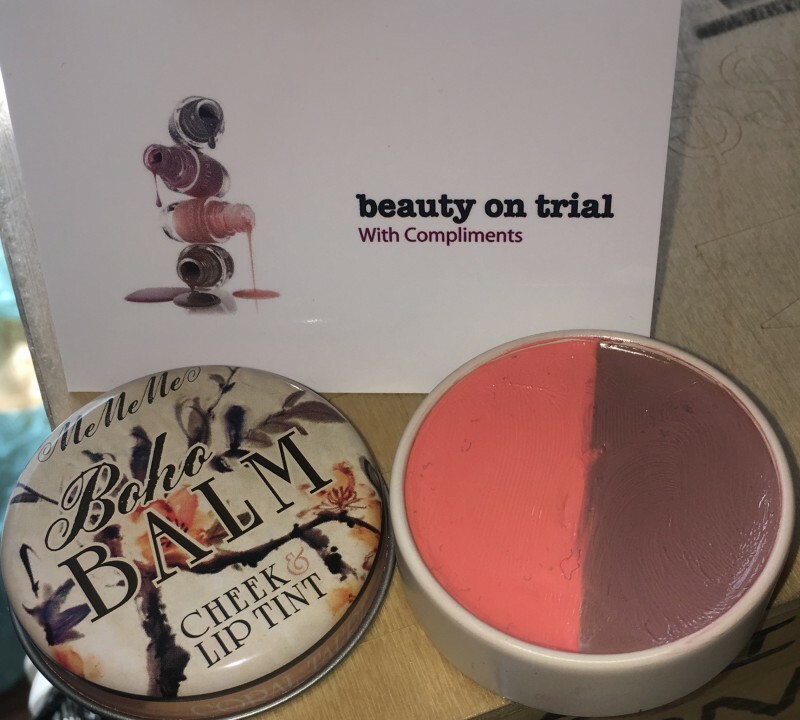 I found the product rather sticky to use it on cheeks, almost impossible (not mentioning I normally don't like to use blush), yet the product as a lip balm is going to be very welcome in my beauty routine. 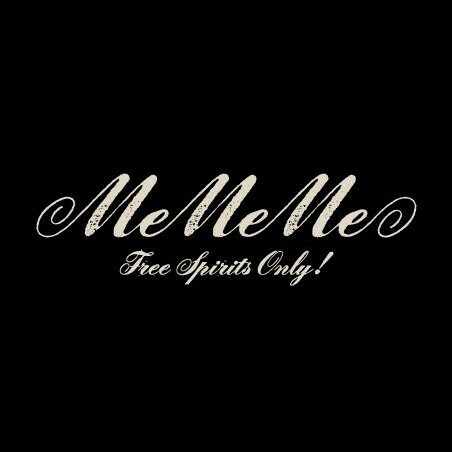 To make it short, I definitely recommend this product without any doubt.